I was pleasantly surprised recently to see a recent video on the rightly celebrated Dice Tower Network addressing the morality of War Games. Some time around that week, the flagship podcast of the Dice Tower network had Tom and Eric discuss controversial themes of board games, touching on some of the same points that were raised in the video. It is such a touchy political subject that it seemed only appropriate of the political gamer to weigh in. Wars are such an awful, horrifying and depressing human practice, quite probably among the worst and most terrible forms of organized human interaction. Games are such lovely, harmless pastimes that we pursue in order to avoid the harsh realities of human interaction. Why on earth would we blend the two? And isn't there something fundamentally wrong with playing around, for fun, with some of these darkest chapters of human history? Isn't it troubling to teach kids (and adults) to enjoy killing and destroying human-like figures, defeating their friends and family by literally eliminating their stuff? There's something funny about asking war gamers about whether or not playing war games is moral. Unless you are going to a meeting of a group intended to help you with an addiction, you are not likely to hear people condemn the things they do fairly regularly. Still, it is interesting to hear the people who play war games explain why they do so and how they explain why it's ok. And the question is not particular to war games - as these discussion reveal, some people find all sorts of themes morally problematic. Tom Vasel and Sam Healey from the dice tower got a lot of flack for complaining about the theme of Chaos in the Old War, which lets players control evil demons fighting against each other for who would more quickly enslave and destroy humanity. Others thought there is something wrong with a game that encourages players to use nuclear and biological weapons to reduce the world's population. More recently, people have complained about the fact there are slaves in Bruno Cathala's hit game Five Tribes and there have even been people complaining about a game that has you play monsters that go around destroying a city and eating peoples, ahem, meeples. And this list doesn't include the very real issue of representation of women in board gaming, recently rekindled by a controversial Essen release and the troubling treatment of women critics in the video gaming community. I hope to treat this subject separately at some point, but I will note for now that ﻿the discussion I've seen in the board game community ﻿was much more constructive than the rest of the gaming world. As I noted, discussing these issues tend to become acrimonious really quickly, because, well, people don't like it when other people say that things they like are immoral. So I try to proceed with care about this. Let's get to it - is playing war games morally wrong? 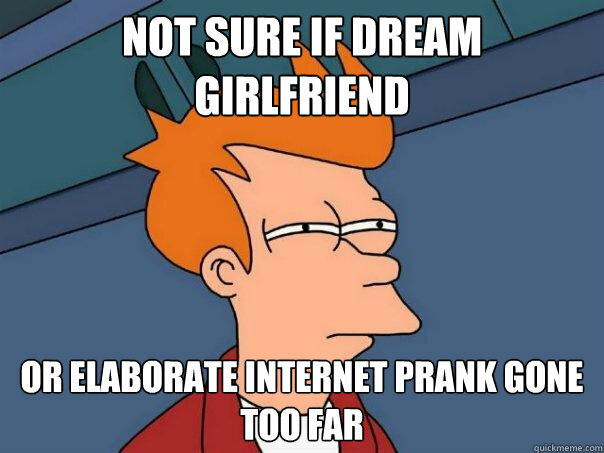 I think the answer is no, but there are qualifications, and important ones at that. To get to those, here are some common answers that are not very good ones, in my opinions. Then we can talk about some specific games and issues. "It's just a game" - I never quite understood why people so devoted to games would so quickly belittle their own hobby. Would we care about these things if we treated them as just games? But really, the main problem with this argument is that if you think, you're basically saying that you would play anything if the mechanics were interesting. Yet there aren't that many games in the market where you playing baby torturers, collective victory points that are baby tears. If would play the baby torturer game, than I probably have nothing to say that will convince you. If you won't, then it's probably a good idea to think about why. Games are art works, like movies or novels, and we should take care of the kind of content we consume when we engage in them. I believe theme matters. Every now and then I enjoy a crappy movie and heaven knows I sometimes consume cultural pieces that lack depth or are actually offensive, but I think it's best to be critical of what's out there. "Criticizing games is PC culture run amok, trying to censor things you don't like" - no, it isn't. Nobody's after your games people - if you want to keep playing your baby torturing game, go for it. My point in criticizing gaming content is not to have it banned, but to discuss the merits of its content. The purpose of discussion is to persuade you that it's not a great idea to have certain types of theme in games, or that we need to be conscious about the way we handle things like war and history. My hope is that if I persuade enough people, some themes would be as prevalent as baby torturing - they would be crowded out not be fiat and censorship, but by a popular consensus that is based on discussion. And dissenters could swim against the current with all the bravado of the free spirits they are. "Different strokes for different folks. This discussion is pointless" - my response to this is not very different from the previous one. Sure, moral discussions are open for disagreement and I don't think anybody should take my opinion over theirs just because I say so. The only reason to endorse a moral judgement, in my opinion, is that you personally find its force compelling. And if in your judgement playing the baby torturing game (or anything else) is fine, I don't think you should change your mind just because I, or even most people in the world, think differently. "If all mankind minus one, were of one opinion, and only one person were of the contrary opinion, mankind would be no more justified in silencing that one person, than he, if he had the power, would be justified in silencing mankind." Yet we live in a society, and the ideas that are commonly held matter. For once, they matter because they would determine what games would have demand (I guess you'll have a hard time kickstarting that baby torture game). But they also matter, because it's hard to resist social pressures when they are formed. You won't find people to play with and you'll be embarrassed to ask because you'll know most people would be averse to it. "Society can and does execute its own mandates: and if it issues wrong mandates instead of right, or any mandates at all in things with which it ought not to meddle, it practises a social tyranny more formidable than many kinds of political oppression, since, though not usually upheld by such extreme penalties, it leaves fewer means of escape, penetrating much more deeply into the details of life, and enslaving the soul itself." So the discussion is not pointless - we should form our own opinions on these matters, and though it doesn't seem this way in the age of the internet, we can sometimes persuade each other. And it's important to have these discussions, even if we don't usually agree - because without trying to persuade others that we are right, we don't often really test our own convictions. We should argue even if just to try and figure out for ourselves that we really believe what we think we believe. "You're a hypocrite because you criticize this one thing though you're totally ok with a bunch of other terrible things so we shouldn't listen to you" - this one is among the least persuasive responses for me, but it is really very common. The reason I don't find it very persuasive is that hypocrisy ranks pretty low on my list of sins; I don't think hypocrisy is great, but I definitely think it's overrated. A hypocrite doesn't practice what they preach, but what they preach may nonetheless be correct. I prefer to deal with the content of the sermon rather than discredit the preacher. But more importantly, someone can have good reasons to think that the way Five Tribes handles slavery is bad while not be troubled with the fact it includes assassins. I will explore a few such reasons below, but the general point is that people can have complex attitudes towards cultural depiction of morally troubling issues. They may not be able to articulate them in the most persuasive way, but that does not make them hypocrites. Where does this leave us? Is it, on reflection, morally wrong to play war games? I've said so much about bad responses and nothing at all about what I think are good responses, while this is getting long. Here is a start. Theme matters, and as such it's not at all trivial that playing war is that great of a thing. But avoiding it as a theme is a not a great thing either - war is, and has been, a tremendously big part of human history. And even if we want to make it obsolete some day (which some people believe is impossible or not even desirable) - it's not clear that the best way to promote that is to avoid engaging with it. In general, I think that when it comes to war, the same rules that apply to books and movies apply to games - it's important to discuss war and reflect it as a grim reality, as long as we don't trivialize human suffering, glorify war or make offensive and demeaning remarks on certain groups of people or their history. Yet gaming is somewhat different than other mediums (a post about that hopefully some day too), since they are interactive. In games, you don't just experience or consume it passively - you also actively participate in it. It makes a difference, and it's why games (mostly video games) are sometimes criticized as horrific activities. We have to modify our normal cultural rules when we deal with games. History. Many war games are historical games and I personally think gaming is a great teaching tool. The Chief, in the aforementioned video, says he learned a lot of history from playing war games. You can learn a lot of history and geography from realistic games which is a main reason I love them so much. If you played enough Wars of the Roses, you'll remember where Sandwich is and nobody will have to tell you that Neville was the kingmaker - you'll remember that, with great frustration, because he will literally be the one noble to swing things around, costing you the game (and the crown). War games are often a great way to learn about history, even if sometimes the fascination with war is exaggerated or excessively divorced from the historical context. Yet the historical argument should be overplayed - when we depict historical scenes, we necessarily pick and choose. We mention some things and abstract away from others. It is especially important in the choice of playable factions/characters which by definition includes, well, picking sides. This is why there is something troubling about all those games which depict colonial European explorers as protagonists and relegate all natives to pesky NPCs which can sometimes ungratefully revolt. I haven't played Archipelago, but I wasn't very impressed with how much progress they made by making sure that "A balance must be found between expansionism and humanism, between commercial goals and respect for local values... the reckless exploitation of the islands’ resources and their inhabitants will ultimately lead to chaos and revolt." Since the designer bothered to explain this, it seems he is obviously troubled by the indifference to colonialism. Yet the message he ends up with is that when colonialists treat the local fairly, they have no reason to revolt. Adding a 'betrayer' mechanic which allows one play to be a 'separatist' who stirs the game towards "chaos and uprising" is not helping. Likewise, making native Americans unplayable red meeples in Lewis & Clark which are basically another kind of resource to manage, is a choice that defies historical justifications: it's a choice to treat these people in our history not as much as people with perspective, agency (the ability to make choices) and diversity but rather as generic things that are there for us to use. In historical context, picking and choosing matters. In addition, we play fast and loose with histories when in a variety of ways. We strain historical preciseness for gameplay, fun factor or just sheer fantasy. And when we do that, we make an important choice - the choice to forgo historical precision for some other countervailing reason. For that reason, history can never be a trump card. It's particularly troubling to hear someone justifies some offensive representation, such as the exclusion of women from a knighthood academy, on historical grounds while also permitting that the knights spend their time fighting dragons. You may not want women as knights in your world, which is your choice. Just don't blame it on history when you do that. In a similar vein, I was wholly unsatisfied with Bruno Cathala's explanation of the reason to include slaves in his game Five Tribes as a historical feature, while he also allows that Djinns have magical powers. If you are asking our suspense of disbelief on magical creatures coming out of lamps, it was certainly within your power and judgment to decide to skip that part of history. But again, what's important here is not that there is a depiction of slavery: because slavery is a part of history and there's all the reason in the world to treat with in a game. Some games do it well. But in Five Tribes, slaves come out in the line of commodities among silk and fish. You use your game-money to buy generic black men in chains who are not even granted the level of agency that meeples get - to do an action. I'd like to respectfully disagree with the esteemed (and talented) designer Bruno Faidutti, who thinks this is a deliberate choice done with irony to distance oneself from the crudeness of the act. Cathala's design choice don't seem to reflect such self-conscious irony, nor his own words: "Because in ancient times, we still need a little slave at home." It is no surprise to me that some people found it more troubling that other things in recent board games. Empathy. Another great point that the Chief makes in his video is that playing war games has made him see historical episodes through the eyes of the people who experienced it, providing him with an opportunity to glimpse a perspective he wouldn't otherwise get. I believe this is a crucial advantage of games over other media - by playing different sides, by experiencing some of the challenges and trials that they actually faced we can learn to appreciate the reality of the situation in a way that no textbook can ever convey. Yet like the other points, this lesson is valuable if we spend some time thinking about who we're empathizing with and in what context. We probably won't think it valuable to empathize, in great detail, with the difficulty that a baby torturer explores while the babies' tears get in the way of his work. And if we do, we'll want to be careful about how we go about it. More often the issue with emphasizing is not who we empathize but who we leave out of the picture - either as non-playable intelligent being (AI or NPCs) or worse as usable resources/tokens for the player to acquire, manage and exploit in the most efficient manner. This does not allow to empathize with the struggles and trials of historical people and is generally not so great. However, it's exceptionally not great when these people are those most often marginalized in cultural depiction, so their voices are typically missing from movies, books etc. War as a struggle. I have given some reasons to think it's valuable to play some historical war games, especially if they provide an opportunity to learn about important chapter in human history from perspectives we don't usually get, even if they relax their historical standards to allow dragons or djinnis. But many war games take place in completely imaginary worlds. Whether fantasy or sci-fi, future or past, Cathullu westerns or zombie-alien mash ups - what is the point of rehearsing war when there's no historical value? First, I think it's important to note that no matter how far fetched your fantasy is, there is always some interesting cultural content to it. Imagined worlds are commentary on our real one. Zombies, vampires, aliens, wizards, dragons, orcs, goblins and the rest of them are typically, on some level, abstractions of humans. They may represent a side of humanity that we wish didn't exist, or our fears, or our fantasies. When we talk about zombies, we are talking about our fear of death or the unknown, or perhaps the fear that death is not what we thought it is. And if we aren't talking about any of that, what we're saying may not be worth our breath. Second, even if there is absolutely no commentary in the fantasy or the historical setting, it's important to remember that war itself has multiple meanings. We use war as metaphor in our everyday life all the time. We talk about the following things as wars: internal struggles to get out of bad, petty office rivalries that may or may not include silly pranks, the set of policies a state enforces to eradicate drugs/poverty/anything else really, a TV show where people compete at making cupcakes and many other things. Granted, in many of these cases the use of the term 'war' is a conscious attempt to shock or scandalize. But the point remains - we understand that war doesn't have to mean that dangerous business, that act of violence which in its application knows no bounds. We exaggerate our office quibbles, hyperbolically treating them as if they know no bounds, while in reality the competition between cupcake makers might elicit a few teams and some pranks go too far but they are typically done with very strict bounds or plainly laid out rules. War games are a little different because they actually depict war. Yet I think that they are totally fine so long as when we play them, we treat the war as an exaggerated metaphor for the struggle of wits and luck that we are engaged with. The concern would be that games glorify war - this would be the case if we were playing the game in preparation and hope for the day we can engage in the real thing. And that's a real concern - people sometimes get the wrong message (as they do with movies or any other work of art). But more commonly, I think, the war in war games is more like a metaphor for the high stakes we want the game to convey. We challenge each other to war games not because we want to kill and destroy each other - but because we want to take this challenge seriously, as if it knows no bounds. So long as this is the game, I don't think there's any problem with that. Channeling aggression. Games are exceptionally good, compared with other forms of expression, and getting people to express themselves in certain ways. They are great at letting us experience situation but they often leave enough space for us to express ourselves in the game. 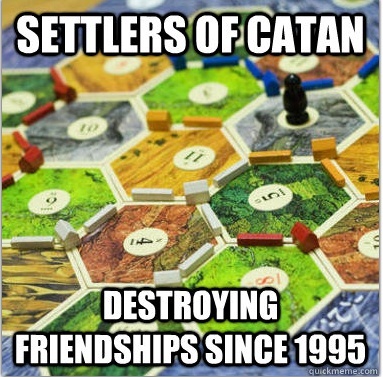 That's why you can play a game of Catan with generous trading or with cutthroat road blocking that will ruin your friendships. Some games are more restrictive in what they let you do, like Agricola, while others are more sandbox-like with a great variety of possibilities. What's distinct about war games, whether historical or not, is that they let you kill and destroy, sacrifice or take great risk. Like zombies, these are things we dream about with great excitement and fear. These are drives and emotions that people seem to have and even if we don't like them, we shouldn't try to avoid or repress them at all costs. These efforts might blow in our face. Instead, it's often good to channel them into something productive and manageable. Like sports, war games can serves as a great outlet for anger and aggression. As much as we don't like it, we might that we have lots of anger within us - anger that accumulates on the road, running errands, at work and in life. It's really best not to express that anger while driving. Channeling it to a game of Nexus Ops or The Ares Project is a much more productive way to get that anger off of your chest. The problem of Evil. Last, but certainly not least, we have the problem of evil. I will not attempt to resolve this age-old philosophical question at the end of this already-insanely-long post but it seems like it's something that has to be mentioned, because it comes up in this context often. And yes, the length of this post has greatly impacted the chance that Nazis are going to be mentioned so we can't finish without mentioning them in the context of war games and morality. How can playing war games be moral, someone may say, if we sometimes take the role of ultimate evil? In Nexus Ops you play a mixture of weird unspecified aliens and humans who fight each other for control over territory. Though a bit eccentric it sounds pretty reasonable. We want that mine, you want that mine. You get the gist. But in other games you get to play Darth Vader and execute his 'brutality' attack, or quite literally an evil mastermind, or the evil overlord or Cthulhu like creatures or the evil Sauron or any other horrible creature whose goal is to destroy or enslave humanity. Even board gaming legend and enthusiast his royal Vaselness found his limits with Chaos in the Old World, finding it hard to play as an evil demon on a map that's made of human skin. How can that be defensible? The Nazis come up when historically themed games are discussed. How can it be ok to play the Nazis? Aren't they the ultimate evil? First, they are not. And as the Chief notes in the video we started with, there is a difference between the Nazi regime and the German army during World War II. Taking control of the German army in some WWII battles is nothing like playing Darth Vader. But more importantly, even if evil itself is a playable character, it's not necessary a problem. I want to be careful here, because I do think that there is a line to be drawn somewhere. But in general, I don't think it's a problem to have a game that pits good vs. evil and have people play both sides. The idea that there is evil in the world, and we should fight it, is a pretty serious one. I'm not saying that it's right, I'm only say that it's worth considering. And one way to explore is to provide cultural artifacts which let us step into that role and experience something of it. Ask ourselves, can people be evil? Can we be evil if we were in the right circumstances? Can anybody? Of course, there are limits for that. I'm not going to draw them here, but I will say that it's a fine line between toying around with the idea of evil and giving a little too much life to the fantasy, enjoying it just a bit too much. Such imprecise wavering is the best to finish this post because I don't want to suggest that in discussing these issues and presenting what sounds, at times, like a very decisive opinion, I aim to say all there is to be said about this. My goal is to open a discussion, not close it - even if it sometimes feels futile or pointless. I'm so glad you published this after BGGcon - because if I had read it there, I would have hugged and kissed you in a highly inappropriately way. I'm still digesting this - need to reread a few times. But my initial reaction is that you hit on a few critical things I've been searching for ways to say but found my words lacking. Thank you Suzanne for the kind words - you wouldn't have been able to hug me at BGGcon, because sadly I wasn't there. Perhaps next year. I realize you thought I was Paul Dean - but that's only because I stole his picture without his permission for the top of his post. You see, as far as I'm considered Paul Dean is a board gaming celebrity. It's common practice for small fish such as myself to steal the image of the rich and famous in order to self-promote. Well, at least the famous, if he lives in that apartment they film at than he can't be rich. In any case, I hope to continue this conversation - I think these are important things that we should start talking about. 'Stole his picture without permission' was a bit of a hyperbole. It was on the website and it comes up first if you google 'board games shouting' - it's from the very good shouting special video. In any case, I removed his picture - I'm sorry about the confusion. Nice write up Paul. While there are aspects of this that I can tell we might not see 100% eye to eye on, I do think you make some great points. My general take on the subject is "Everything is permissible, not everything is beneficial." You may have been a tad hard on Bruno. Slavery is definitely bad so maybe he could have been less aloof on the subject. As for the relegation of people groups to NPCs or being resources to use, yes again unfortunate, and I wouldn't say necessary in the games mentioned, rather a design decision I imagine was based on mechanics rather than intention. Personally I don't think I would be appalled by a game where the players are the native Americans and the points are awarded for shuffling the hapless white man across the country. Nor would I mind playing one where we played the indigenous population of some island who's goal is to kill off the imperial Europeans stealing our land. My (poorly founded" opinion is that, in most cases, the context and mechanics of the game is what sets the pieces. It is our individual interpretation and sensitivities where these ideas can become an issue or be brushed off. If at some point in my life as a white male I had been persecuted by an island population I may feel differently about playing that theme. I think I might have to take down Paul's picture. Though I am flattered people think he wrote it - his writing is truly genius. Jeff - thank you for your comments and engagement. We may not agree on everything, but I'm glad we're having this conversation. In general, I don't think I would agree that everything is permissible. That's not to mean I think we need to have regulation banning stuff - but that doesn't mean that everything is morally permissible. I might be splitting hairs, if what you meant is 'everything should be legal' so we're pretty close on that. As for Bruno - I admire his work greatly, I think he is a brilliant designer. I agree than in the case of slavery as well as the NPCs these were design choices that were centered on mechanics. I don't think he had any bad intentions - which is why I think it's valuable to have these discussions and start thinking about it. Especially since these were not very necessary parts in the game, I believe better choices could have been made. The emphasis is on choices - I hope to persuade people so that they would choose differently, not to impose restrictions or have some authority intervene. As for your last point, I totally agree - there is definitely historical context that matters a lot. It matters when we watch movies or read books, so I think it matters when we play games. If there wasn't for the history of colonialism I probably wouldn't have been bothered. But as Bruno Faidutti says in his great piece, in literature we have moved from the naive perception of colonialist era. We can do more with board games - they are amazing cultural instruments to have people discussing things. Archipelago is, on my book, a step forward from Settles of Catan but in my humble opinion, there's still lots more to go. Ah sorry about that, yeah I got here from a twitter link and saw Pauls photo, and other than the Political Gamer, no other name. So I wrongly assumed my twitter linker had it right. Anyway you got yourself a new twitter follower from the ordeal. Yes on your first bit there, no I don't think everything is morally permissible, at least not where common sensibilities lie. But as is obvious by our world today, and in the past, my sense of morality, and yours may differ greatly from today's despots and dictators... and slave owners. I, like most I am sure, was shocked and horrified when I became old enough to learn that until 2007 there were places where someone could be literally owned, and that even today there are places where technically illegal it is still common practice. And this doesn't even count debt slaves which still happens regularly in some places. Lots of this is interesting, and well written, and (I tend to think) true -- thanks for all the food for thought. I may write a proper response in a post of my own. But there's one part that I'm not sure I agree with. You're a bit too quick to dismiss the "It's only a game!" reply as belittling the hobby. When a gamer says "It's only a game!" about his favourite tabletop wargame, is he really belittling the hobby? I don’t think so. Saying something is only a game is not saying it's worthless (games can be of great value, culturally, artistically and in many other ways). Suppose I point to a painting of dead and dying soldiers on a battlefield, like this one (http://www.artic.edu/aic/collections/artwork/93394?search_no=1&index=2), and say "That's terrible, art should never depict something so awful!". You might say in reply, "It's only a painting!". That doesn't mean you don't think it's a great painting, with great cultural or artistic value. You simply mean that it's not the kind of thing that can be morally objectionable, at least not because of what it depicts. So I think “It’s only a game!” might just be a shorthand way of saying "This is a simulation, not an actual act of war. I agree that war is a huge moral issue, but this activity of pushing around counters and rolling dice is not". We may not agree with this response, but I don't think it's right to say that it belittles the hobby or suggests that games are unimportant. Would love to read a proper response in a full post, but thanks for the shorter response here. You're absolutely right that when a gamer says 'it's only a game' he doesn't intend to belittle the hobby. I was responding to the gamer in the video I posted who said 'it's only a game' and what he meant was, if I understood his explanation, that he would play a game with any theme because the theme just doesn't matter - it's just a game, so we can play around with anything as long as it is fun. I disagree that the theme doesn't matter, as I tried to explain in a previous post and here. The quip about devaluing the hobby wasn't very serious - I just commented that's is funny to hear gamers attempt to minimize the impact of games, but you're obviously right to say that someone can very consistently and legitimately think that games are of great importance yet think, like the gamer in the video, that it doesn't matter what's the theme of a game because it's only a game. I'm not exactly sure, but it seems to me that your argument here is a little different than the one made in the video. In broad strokes, I agree with you - of course pushing cubes is not the same as war and even if war is objectionable, it's clear that pushing cubes while yelling 'war!' is not the same thing. But that's missing the target because the people who object to war games don't object because they're confused about the difference between war games and actual wars. If you say to them 'it's just a simulation', their response is likely to be 'of course it is, but as a simulation it has consequences and one of them is to make light of war or even worse, to glorify it'. If the response 'it's just a game' is a denial of the claim that gaming has consequences - that is a response that might seem, on the face of it, to belittle the hobby. But the reason I reject it is not because it belittles the hobby, but because I think it is wrong: I believe that cultural and artistic works have consequences, and that we need to think about their content. Not by way of censorship (though perhaps that too in some extreme cases) but by way of public discussion. Bottom line, of course games are not the same as actual acts of war. And there are many things that are, in my opinion, ok in games but not in real life. But that doesn't mean that anything goes in games (which is what I took the argument to be) or that there is no connection between what we simulate and the moral evaluation of the game. When we simulate war, we need to be more careful than we would otherwise be. There are some moral pitfalls in simulating agriculture, but not as many. The purpose of this post is to try and identify some of the considerations that guide such decisions, and to open a conversation about it. So thanks for engaging!